At Sydney Creek, our staff is trained to care for people with Alzheimer’s and dementia. Our family members know their loved ones are in good hands. But whether you are caring for your loved one full-time at home, or visiting them in a community like ours, the following 12 guidelines will be helpful, perhaps even life-changing. 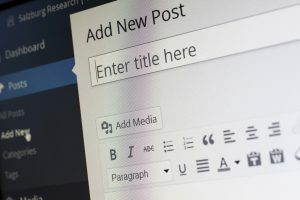 From an article by Esther Heerema, MSW, posted on the website verywellhealth.com We have edited it for space and specificity to our community. It’s easy to become frustrated, even angry, with someone who has dementia. The tendency, especially with a family member, is to want to convince him he’s wrong and set him straight. Instead, remember that dementia actually changes brain function, structure, and ability. You will rarely win an argument in dementia; rather, you will almost always increase the frustration levels for both of you. Spending time being angry and argumentative is just not worth it. It’s not uncommon to spend valuable time in the early stages and symptoms of dementia hoping that the symptoms will just go away, or trying to convince yourself that it’s just a phase or that you’re overreacting. This attempt to cope by denial may make things better for you in the short term, but it can delay the diagnosis of other conditions that look like dementia but are treatable, as well as delay diagnosis and treatment of true dementia. Instead, remember that while it can be anxiety-provoking to schedule that appointment with the doctor, it can also be helpful to know what you’re facing. 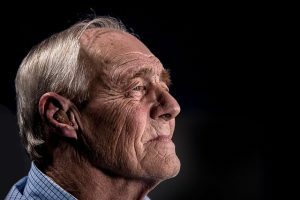 Even having your worries confirmed by getting a diagnosis of dementia can actually be a good thing, since there are many benefits to early detection, including medications that are often more effective in the early stages. Too many medications can make people feel and act more confused. While medications are, of course, prescribed to help people, too many drugs can hurt people instead, causing disorientation and memory loss. Instead, when you go to the doctor, be sure to bring in a list of all of the medications that your loved one is taking and ask if each one is still needed. Include all vitamins and supplements since some of them can affect how medications work, or they can interact with the chemicals in the medications. It’s worth asking for a thorough review of all of the medications to ensure that they’re truly helping, and not hurting, your loved one. Validation therapy can help us respond gently. People living with dementia often experience a different reality than we do. They may call out repeatedly for their mother or insist that they have to go to work, even though they’ve been retired for many years. 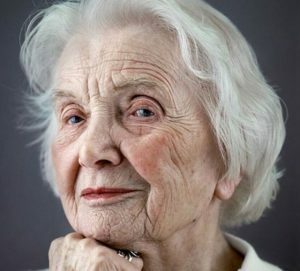 Instead of being irritated and reminding your loved one of her age, the fact that her mother passed away decades ago or that she hasn’t worked in 20 years, try taking five minutes to ask her to tell you about her mother or about her job. These are examples of using validation therapy, and using this technique can often improve the day for both of you. The ideas behind validation therapy help us to remember to adjust our focus to see things their way, rather than try unsuccessfully to have them see it from our perspective. It’s never too late to work on improving brain health. Sometimes, people feel that after a love one receives a diagnosis of dementia, it’s too late to do anything about it. Part of that response may be related to the normal grieving process after a diagnosis, but many caregivers have expressed that they really didn’t know that brain health strategies can truly make a difference in functioning, whether cognition is normal or already declining. Instead, remember that while true dementia won’t go away and generally is progressive, there are still a lot of strategies that can be used to maintain and even improve brain health and functioning for a time. Millions of family caregivers make every effort to do the task of care giving well, and some end up doing it mostly alone. These caregivers often have no idea how exhausted there are, and if they do, they may feel like their fatigue doesn’t matter anyway because they have a job to do. 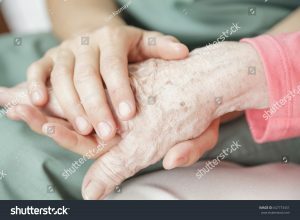 Instead of barely hanging on, day after day, seek out home health care services, adult day care facilities, respite care, and support and encouragement groups for caregivers. Communities like ours offer support groups that can help you be a better caregiver by refilling your cup of available energy. Choose one small thing to do for yourself. The risk of caregiver burnout is real. Caregivers don’t need to feel guilty or frustrated because they don’t have time or energy to exercise, smile, eat right, and get lots of sleep. Most caregivers are well aware these are things they should do but just don’t have the time. The last thing they need is another list of things they should be doing. Instead, what caregivers need to remember is that doing even one little thing for themselves is important and beneficial. You may not have time to do the big things, but finding little ways to refill your tank of caregiver energy is critically important. 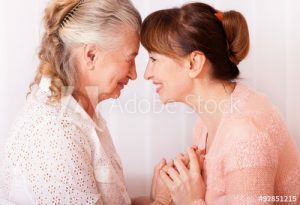 Practical ideas from dementia caregivers who have been there include a 30 minute visit from a friend, 20 minutes of quiet time where you read a religious passage or listen to your favorite music, 10 minutes to drink your favorite flavored coffee, five minutes of locking yourself in your room to physically stretch your body or call a family member who will understand, and 10 seconds of taking a deep, deep breath and let it out slowly. Pick and choose your priorities and let the rest go. Some people have said that dementia picks and chooses its own battles. 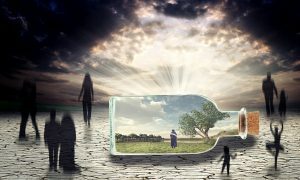 However, others have shared that initially, they tried to “do everything right,” but as time went on, they learned that letting go of some of these pressures and expectations saved their own sanity and reduced their frustration. Instead of focusing on meeting your own expectations or those of the people around you, change your focus to what’s important at the moment. You will rarely go wrong if you ask yourself if the momentary challenge will be important in a month from now, or not, and proceed accordingly. It can, understandably, be very hard to think about an uncertain future after a dementia diagnosis. You may need some time to absorb and process the information. However, instead of avoiding the uncomfortable conversation about medical decisions and power of attorney documents, take the time to discuss these important choices. Have that talk with your loved one who has dementia sooner rather than later (or never). Why? Not having to guess about medical decisions and personal preferences can afford you with much more peace of mind, knowing that you are honoring her choices. Remember that he really can’t control his behavior. When your family member or friend has dementia, it’s tempting to believe that he’s really not that bad off. This can be a protective tendency so that you don’t have to directly face the changes that dementia is making in your loved one’s life. Sometimes, caregivers would almost prefer to believe that a loved one is being stubborn, rather than the fact that he has dementia. The problem with that belief is that then, it’s very easy to feel that he’s choosing to dig his heels in and just being difficult You may feel like he has “selective memory problems” or that he’s just trying to provoke you or make your day difficult by not getting dressed to go to his doctor’s appointment, for example. Instead, remind yourself that dementia can affect personality, behavior, decision-making, and judgment. He’s not just being stubborn or manipulative; he also has a disease that can sometimes control his behavior and emotions. This perspective can make it feel a little less personal when the day is not going well. Twenty minutes later can feel like a whole new day. Sometimes, loved ones with dementia can become anxious, agitated, and combative while you’re helping them with their activities of daily life. 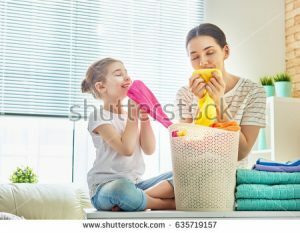 For example, perhaps you’re trying to encourage your mother to brush her teeth and she’s pushing you away and yelling at you. It’s just not going to happen right now. Instead of increasing your demands about brushing her teeth, try giving her (and yourself, if necessary) a few minutes to calm down. Ensure her safety and go to a different room for 20 minutes. You might find out that when you return and turn on her favorite music, the task that she was so adamantly opposed to earlier is now much easier and not a big deal. While this won’t always work, it often does, and it’s definitely worth a try. Coping with a diagnosis of dementia is often not easy. There are losses to grieve, changes to make and many things to learn. However, you don’t need to fall for the lie that life will always be terrible with dementia. This is just not true. Instead, listen to others who’ve been there, who acknowledge the challenges and don’t deny the pain, but who also strive to continue to enjoy life. According to many people who are living with dementia, there are ways to still enjoy life, to still have a high quality of life, despite their challenges. Take hope from their words when they say that they still enjoy socialization with friends, good food, pet therapy and laughter. Holidays are a time for reconnecting with loved ones. For those with Alzheimer’s Disease or other types of dementia, it may be disorienting to be taken out of a familiar setting—especially if they are now living in a care community. Holiday gatherings can look a little different as multiple generations visit the actual community, versus taking a loved one home for the holiday. One missed opportunity that I have seen over the years is not preparing children before they visit a grandparent or older adult living with dementia. Parents might think if you don’t discuss this painful disease, you’re protecting your children or that certain behavior can be dismissed as “old age” or forgetfulness. Parents may forget that children will be observing other residents, in addition to the one they are visiting, and those residents will be drawn to their joy and energy. Remember that children are very insightful and curious. They will ask questions and worry when a grandparent’s behavior changes or when he or she seems absent from their lives. 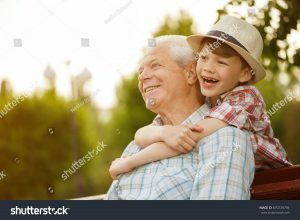 Children might feel nervous around the older adult, especially if he or she is having trouble remembering names or can no longer take care of him or herself the way they once did. 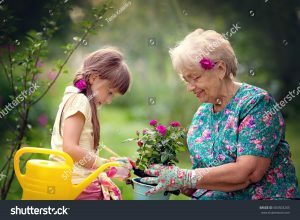 Encourage children to “go with the flow.” The older adult or grandparent may have an altered sense of reality and arguing or trying to correct him or her might lead to more confusion or agitation. For example, “Grandma sometimes calls me mother.” Explain to children it’s an opportunity to pretend or use their imaginations, but not to argue. Consider meeting in the lobby area or reserving a private dining area for your holiday visit. The Village at Sydney Creek has plenty of space for meeting one-on-one with a resident, including our lobby with fireplace, family room, Activity Room, conference room or one of our lush garden spaces. Contact Sydney Creek at 805-543-2350 if you are interested in having a staff member visit your child’s schools or club to explain more about Alzheimer’s Disease and dementia. Following is a list of symptoms, causes, and conditions taken straight from the Mayo Clinic website. Alzheimer’s disease.In people age 65 and older, Alzheimer’s disease is the most common cause of dementia. Vascular dementia.This second most common type of dementia occurs as a result of damage to the vessels that supply blood to your brain. Blood vessel problems can be caused by stroke or other blood vessel conditions. Lewy body dementia.Lewy bodies are abnormal clumps of protein that have been found in the brains of people with Lewy body dementia, Alzheimer’s disease and Parkinson’s disease. This is one of the more common types of progressive dementia. Frontotemporal dementia.This is a group of diseases characterized by the breakdown (degeneration) of nerve cells in the frontal and temporal lobes of the brain, the areas generally associated with personality, behavior and language. Mixed dementia.Autopsy studies of the brains of people 80 and older who had dementia indicate that many had a combination of Alzheimer’s disease, vascular dementia and Lewy body dementia. Studies are ongoing to determine how having mixed dementia affects symptoms and treatments. Huntington’s disease.Caused by a genetic mutation, this disease causes certain nerve cells in your brain and spinal cord to waste away. Signs and symptoms, including a severe decline in thinking (cognitive) skills usually appear around age 30 or 40. Traumatic brain injury.This condition is caused by repetitive head trauma, such as experienced by boxers, football players or soldiers. Creutzfeldt-Jakob disease.This rare brain disorder usually occurs in people without known risk factors. This condition might be due to an abnormal form of a protein. Creutzfeldt-Jakob disease can be inherited or caused by exposure to diseased brain or nervous system tissue. Parkinson’s disease.Many people with Parkinson’s disease eventually develop dementia symptoms (Parkinson’s disease dementia). 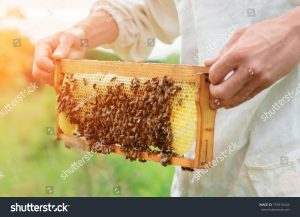 Infections and immune disorders.Dementia-like symptoms can result from fever or other side effects of your body’s attempt to fight off an infection. Conditions such as multiple sclerosis that result from the body’s immune system attacking nerve cells also can cause dementia. Metabolic problems and endocrine abnormalities.People with thyroid problems, low blood sugar (hypoglycemia), too little or too much sodium or calcium, or an impaired ability to absorb vitamin B-12 can develop dementia-like symptoms or other personality changes. Nutritional deficiencies.Not drinking enough liquids (dehydration); not getting enough thiamin (vitamin B-1), which is common in people with chronic alcoholism; and not getting enough vitamins B-6 and B-12 in your diet can cause dementia-like symptoms. Reactions to medications.A reaction to a medication or an interaction of several medications can cause dementia-like symptoms. Subdural hematomas.Bleeding between the surface of the brain and the covering over the brain, which is common in the elderly after a fall, can cause symptoms similar to dementia. Exposure to heavy metals, such as lead, and other poisons, such as pesticides, as well as alcohol abuse or recreational drug use can lead to symptoms of dementia. Symptoms might resolve with treatment. Brain tumors.Rarely, dementia can result from damage caused by a brain tumor. Normal-pressure hydrocephalus.This condition, which is caused by enlarged ventricles in the brain, can cause walking problems, urinary difficulty and memory loss. 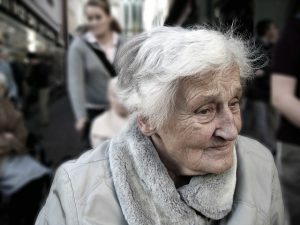 Go to https://www.mayoclinic.org/diseases-conditions/dementia/symptoms-causes/ for more information. At Sydney Creek, we recognize the importance of non-pharmacological therapy and person-centered, meaningful activities in the treatment of dementia. Olfactory stimulation is a useful tool in addressing both goals. Scent, in the form of aromatherapy, can help elevate mood and reduce agitation, lower blood pressure and pulse rate. Olfactory stimulation can be used to elicit positive memories and provide a sense of well-being. 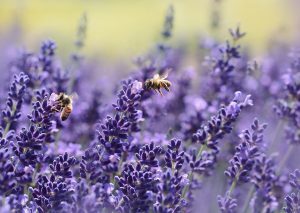 Lavender is the most popular and widely used scent to calm feelings of anxiety, aggression and agitation. In addition to lavender, we include Bergamot and Yuzu essential oils in our community. Bergamot is a mood elevating and calming oil, also used to relieve insomnia. Yuzu essential oil has been used in Japanese culture for centuries. 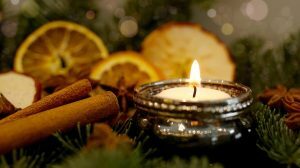 It is a scent similar to mandarin or grapefruit and its crisp aroma can create an atmosphere that is refreshing, especially during times of worry and tension. We deliver these oils by placing a few drops in a diffuser or massaging them into the temples of the head or dabbing them on the wrists. 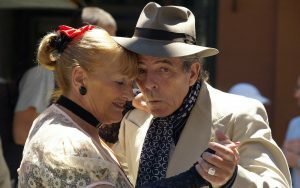 Some believe that people with dementia lose their sense of smell or the ability to identify scents. However, it is possible for a scent to trigger a memory without knowing the specific name of the scent and anything that can elicit a positive memory should be a part of the daily life of anyone living with dementia. The scent of Coppertone® sunscreen can instantly transport a person to a relaxing day at the beach, without knowing exactly what the scent is. A woman shared that scent of patchouli oil always brought her husband back to the summer of 1967 in the Haight Asbury neighborhood of San Francisco; a time when they were young and carefree. In Sydney Creek neighborhood kitchens, or “hearts of the home”, residents experience comforting smells such as clean laundry and cookies baking. What Should We Feed Our Brains? As more and more Americans and people all over the world—24 million at last count—are affected by Alzheimer’s Disease, the search for a cure continues. And while we wait, we work hard to understand, care for, and reduce the suffering of those we love who have dementia. One of the elements being studied is nutrition, the hope being that what we eat can prevent, lessen, or postpone the onset of dementia, and help those already afflicted to have a higher quality of life. Happily, the preponderance of research on the subject of nutrition and the dementias supports what most of us already know: that a healthy diet can and does help. As a person keenly interested in food, diet, and their relationship to health, I’ve been studying this topic for years. The literature seems to offer some new revelation every few months, often contradicting what came before it. Today we argue the merits of paleo versus veganism, gluten-free versus whole grains, organic versus processed, dairy-free or calcium-rich. It’s confusing, and frustrating. However, the one constant over many decades and across hundreds of experts is that fresh fruits and vegetables, whole grains, and unprocessed meats and dairy are the mainstay of most healthy diets. The other constant is that we should avoid high sugar, white flour, processed, fast, and junk foods. And the same holds true for what we should be eating (and not eating) to either prevent or cope better with dementia. A quick Google search revealed the latest studies, three of which provide the newest dietary guidelines for supporting brain health and coping with dementia: The National Center for Biotechnology Information, the Cleveland Clinic, and the National Institutes of Health. Data from several lines of evidence suggest that the relationship between diet and Alzheimer’s Disease (AD) is similar to that between diet and coronary disease. Diets containing anti-oxidant nutrients, fish, dietary fats, and B-vitamins may play a protective role. 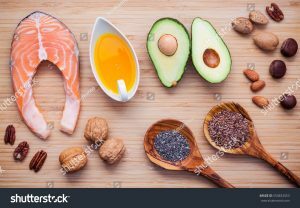 Omega-3 fatty acids (fish oils) may hold the promise of prevention and treatment, though hard proof has yet been found. Diets that emphasize high levels of B vitamins, especially B12, are suggested, since their lack has been found to cause the kind of brain damage found in AD. Put more simply, a diet like the Japanese or Mediterranean diet, or any diet high in fish, fruits, and vegetables but low in processed meats, white flours, fried and packaged foods are associated with a lower risk of AD. Nuts and seeds are high in the right kind of fats, especially flax and pumpkin seeds, which are easy to add to salads or cereals. Vitamins C and E are also useful. Coffee (in moderation) has been shown to be related to better brain health. That was great news for this coffee lover, especially because this statistic has not been contradicted in many years. “The stark fact is that dementia is incurable, progressive, and fatal, but … in the company of the demented, one finds peace and unquestioned love in at least as much measure as in the rest of the world,” she continues.